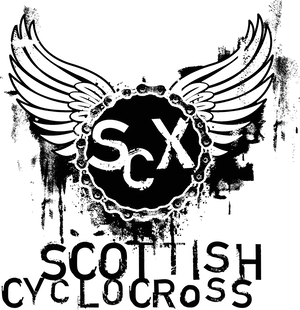 Thanks for all the messages of support and comments on the website regarding the changes to Scottish Cycling's cyclocross that were due to be put to this year's Scottish Cycling AGM. The Rules Commission have made a recommendation to the SC Board to remove the cyclocross motion from the AGM agenda and instead deal with it as a Board matter out with the AGM. The reason for this is that the adoption of BC rules by SC does not need to go to vote and this motion is therefore technically incompetent. SCX have asked to be allowed to make a presentation to the board when this issue is being discussed. In case you haven't read about the changes that were being proposed, we thought it would be useful to show you the original proposals (along with the notes from the motion) and our responses / views (in orange) on the ones which caused us concern. We agreed with all the other changes being proposed. This amendment should be deleted. It would have a severe impact on cyclocross in Scotland - the majority of courses currently used would fail, as most feature at least one section narrower than 2m. SCX have worked hard with organisers to make courses safer and have less singletrack in them to encourage faster more open racing BUT events must be allowed to evolve and this can take time. It is crazy to destroy goodwill that has been built up between an organiser and a venue by making them look for another venue. Scottish Cyclocross has a unique flavour to it, which we all want to keep, but this rule would make it impossible to hold many long-standing and popular events. 11.6 New regulation Any rider deliberately leaving the course shall be deemed to have retired from the event. Page 77 insert new rule after 12.11.5 and renumber existing 12.11.6 as 12.11.17 and similarly renumber the remainder of section 12.11. Note: Problems with course cutting have increased. Cyclo-cross rules have always relied on trust and good sportsmanship of riders, but it appears that this needs to be formalised, in particular for Category B & C events where courses are generally not fully taped. The definition of the course is covered to a large degree by Rule 9.3. This amendment should be deleted. This has never been a problem in Scotland, despite the assertions in note, so adding a rule is unneccessary. 16.1.1 Delete "an identifiable commissaire"; replace with "a minimum of two identifiable commissaries". Page 78 rule 12.16.1. make word replacement using correct spelling of commissaires. Note: The Commission stipulates a minimum of two commissaries (sic), but the existing wording infers that only one is required. This amendment should be deleted. Scottish Cycling has tried to implement a similar scheme this year but doesn't appear to have enough commissaires to fulfill this. While two commissaires at an event is a good idea, we feel that making it mandatory could mean the cancellation of events for no other reason. This season, Scottish Cycling's Commissaires Commission has failed to ask/appoint cyclocross qualified commissaires and have instead brought in commissaires who have no interest in cyclocross and aren't qualified in cyclocross to officiate at events.